Survey Company In The Home Improvement Industry. Their Independent Surveys Show That Our Customers Are THRILLED! You can tell a lot about a home-improvement contractor by what others are saying about them. We’ve gathered multiple resources to help you get a feel for what you can expect when doing business with Jancon Exteriors. 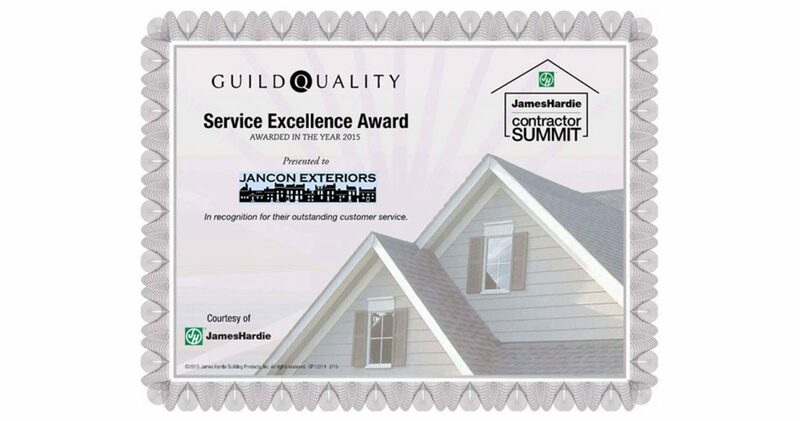 We utilize the services of Guild Quality; they are the nation’s premier customer satisfaction survey company for the home improvement industry. They follow a strict protocol of gathering customer information, contacting them via phone and email after the job is complete. The feedback they get is real and represents the way our customers actually feel about us. As you will see, the overwhelming majority of our customers are thrilled with their experience and would gladly recommend us to others for exterior remodeling in Franklin, MA and surrounding areas. Please read our Guild Quality report with as much detail and scrutiny as your time allows—this is an excellent resource. Please read our Guild Quality report with as much detail and scrutiny as your time allows—this is an excellent resource. Note: you will be taken to Guild Quality’s site in a new window.